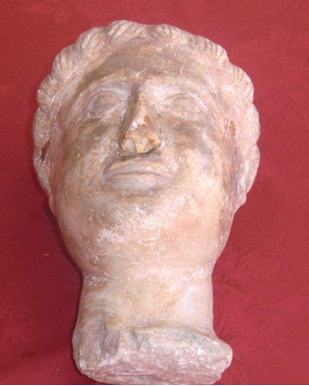 The Ministry of Antiquities has successfully repatriated to Egypt a head of a statue from the city of Petrópolis, also known as The Imperial City of Brazil, dated back to the Roman time. Dr. Mohamed Ibrahim stated that the antiquity object had left Egypt with a Brasillian tourist who had bought it in Egypt in 1976. After he passed away, his daughter approached the Egyptian embassy in Brasil to return the head back to Egypt according to her father’s will. Dr. Osama El Nahas, Director of the restored Antiquities department, said that the experts confirmed the authenticity of the object then it was coordinated effort between the Egyptian Embassy in Brasil and the Ministry of Foreign Affairs to receive the head of the statue and return it to Egypt at the end of January. The object now is at the Egyptian Museum for required restorations in order to be displayed at one of the specialised museums beside the ongoing studies on the site where it belongs originally.